iGaming, also known as interactive or online gaming, is the flyer of money on the outcome of a game via internet. Online games like Poker, online casinos, horse racing, fantasy football NBA leagues, fantasy cricket are among the most popular iGaming activities. The iGaming and Fantasy Sports Sector is on its peak in European countries. Malta became world’s iGaming capital in the last few years. Many other countries like United Kingdom, Scotland, Gibraltar, Sweden, The Republic of Ireland, Italy are the emerging market today for the online gaming. By continuously innovating this sector, European market has managed to lead in the online gaming world, adding thousands of jobs to its economy and profiting off of a multi-billion-euro industry that is consistently growing. Europe dominates the global iGaming market with about 16.5 billion Euro in 2018 and is expected to grow steadily to a whopping 32.5 billion Euro by 2020. The biggest and the most innovating B2B and B2C industry event “ICE London 2019” is going to take place during February 5-7 2019. This event is going to engage with the latest solutions, content and networking opportunities with notch player across the iGaming industry. 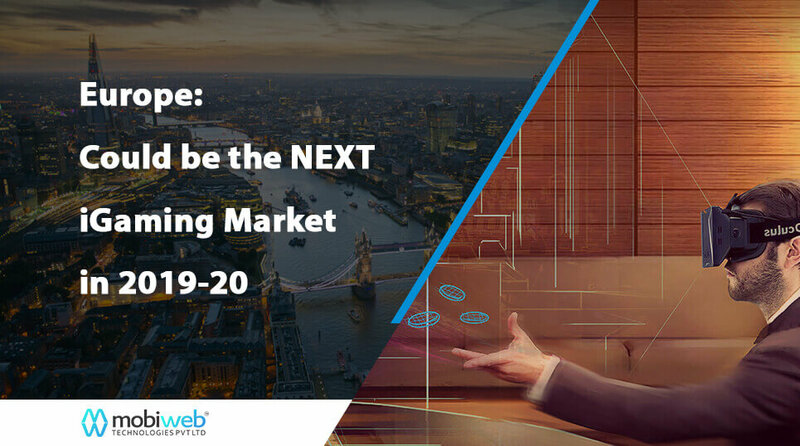 Mobiweb Technologies, a world class Fantasy sports app development company will be exhibiting their industries of Fantasy Sports, iGaming and Online Gaming at the biggest B2B iGaming Industry Event of 2019, at Stand No. N9-539 during Feb 5-7 2019. Our representatives will be there with whom you can schedule your meeting.